Register Now at the Lowest Rate for the 2019 CEP Conference! Registration for CEP’s 2019 national conference in Minneapolis-St. Paul, to be held May 7-9 and themed Stronger Philanthropy, is now open! Foundation executives, trustees, and donors who register now can take advantage of our early bird discount and reserve their seat at the lowest possible price. And if you’re a CEP assessment and advisory services client or a member of Minnesota Council on Foundations, you’re eligible for an additional discount! Anand Giridharadas — political analyst and author of one of the most talked-about books in philanthropy, the recently released Winners Take All: The Elite Charade of Changing the World. To learn more about Giridharadas and his work on philanthropy, check out his provocative New York Times op-ed, “Beware Rich People Who Say They Want to Change the World,” or listen to this interview with him on The Ezra Klein Show podcast. Matthew Desmond — sociologist and author of the 2017 Pulitzer Prize Winner in General Nonfiction, Evicted: Poverty and Profit in the American City. Desmond recently authored a must-read feature in The New York Times Magazine about poverty, employment, and safety net policies in the United States. Nancy Giles — CBS Sunday Morning contributor, comedian, and actress who is known for her blending of humor and social and political commentary. Michael Sandel — political philosopher, Harvard University professor, and author of two New York Times bestsellers: Justice: What’s the Right Thing to Do? and What Money Can’t Buy: The Moral Limits of Markets. You can register for the conference here. Reserved your place already? Let everyone know by tweeting with the official conference hashtag,#CEP2019! If you have any questions, please don’t hesitate to contact CEP’s manager, programming and external relations, Ying Tao at yingt@cep.org or 617-492-0800 x186. CEP’s latest research sheds light on how nonprofit leaders view their organizations’ diversity efforts — and how they see their foundation funders playing a role in this area of their work. On the CEP blog, leaders from foundations and nonprofits have reacted to data in the report and penned thoughtful responses on how funders and nonprofits can move forward together in their diversity efforts. Ruderman Family Foundation Program Officer Miriam Heyman focuses on the report’s findings on disability diversity, calling on nonprofit and foundation leaders to translate the endorsement of disability as central to their work into real action. Chris Cardona and Megan Morrison detail how the Ford Foundation’s strategy for diversity data collection has evolved. Jasmine Marrow, director of nonprofit strategy at GuideStar, breaks down three ways that funders can promote the collection of diversity data at nonprofits. Michelle Greanias, executive director of PEAK Grantmaking, contextualizes CEP’s data in findings from PEAK’s recent survey of the field, arguing that both funders and nonprofits want to use demographic data to answer the same two questions: 1) Are we serving who we intend to serve? and 2) How does lived experience drive our work? And Selina Nwulu, senior consultant at Ten Years’ Time, details a new U.K. initiative called the 2027 Programme that works to bring lived experience into the foundation sector by recruiting talented front-line workers from working-class communities and placing them in decision-making roles for a year at trusts and foundations in several English cities. Additionally, the report’s findings were covered in a number of media outlets, including Fast Company, The Chronicle of Philanthropy, Inside Philanthropy, and The NonProfit Times. The report also informed a discussion among members of the Forbes Nonprofit Council about ways that nonprofits can improve their approach to diversity and inclusiveness in this piece. CEP will be releasing a report, Strengthening Grantees: Foundation and Nonprofit Perspectives, next week. This report will share data collected from nonprofit CEOs about what foundations have been doing to strengthen their organizations, and what nonprofits feel they still really need. We also analyzed survey data from foundation leaders about what their organizations have been providing to strengthen grantees, and upon what they base those decisions. By looking at both these perspectives, this research will shed light on how in touch foundations really are with nonprofits’ needs. CEP will also be releasing a report later in November, titled Understanding and Sharing What Works: The State of Foundation Practice, about how foundations are assessing what’s working and what isn’t, how they use that information, and how they decide what to be open about. Accompanying this report will be a series of profiles of foundations that are investing in understanding what is and is not working in their foundation’s efforts, and how they are sharing that information more broadly. Stay tuned this fall for the releases of these reports (you can find all of CEP’s research reports available for free download here). If you’re a funder and would like to learn more about supporting CEP’s robust research agenda, please contact Vice President, Programming and External Relations, Grace Nicolette at gracen@cep.org. October 3, 2-3pm ET: CEP President Phil Buchanan will be part of an SSIR Live! program called “Listen Up! How Feedback Can Accelerate Nonprofit Growth and Impact,” where he’ll join a panel discussing why gathering feedback is the smart thing to do for organizations seeking to improve. October 4, 8:45-9:35am ET: Buchanan will be speaking in person at the Leading By Example: Best Practices in Charitable Giving conference in Boston. Phil’s talk, “Giving Done Right: What It Takes” will draw on research and examples from his forthcoming book to describe both the pitfalls that have tripped up well-intentioned donors, as well as inspiring stores of what giving done right can achieve. October 16, 2-3pm ET: Vice President, Research, Ellie Buteau will join a PEAK Grantmaking webinar titled “Digging into Demographic Data” to discuss the findings of CEP’s recent research on nonprofit diversity efforts. October 29, 3:30-4:30pm ET: Buteau and research colleague Charis Loh will discuss findings from CEP’s forthcoming research on strengthening grantees in a CEP-hosted webinar. This will be followed by a discussion with foundation leaders (Linda Baker, director, organizational services and philanthropy, program services, David and Lucile Packard Foundation; Shaheen Kassim-Lakha, director, international programs, Conrad N. Hilton Foundation; and Linda Wood, senior director, Haas Leadership Initiatives, Evelyn & Walter Haas Jr. Fund) about what foundations can do to best support and strengthen grantees, leaders, and networks. Sutton Mora Hayes, executive vice president & COO of the Community Foundation of Greater Memphis, discusses how the foundation used the Donor Perception Report (DPR) to bring the donor perspective into the foundation’s strategic planning. “We know that we cannot truly make strategic decisions about the future of our organization without voices from the community,” she writes. Gaylord and Dorothy Donnelley Foundation Executive Director David Farren reflects on findings from the foundation’s fourth Grantee Perception Report (GPR). Three leaders from the Claniel Foundation — Andrea Bretting, Michael Jordan, and Mailee Walker — discuss why the foundation has moved to make 100 percent of its grants for general operating support. Chris Man, co-founder of the U.K.-based social enterprise FieldWorks, argues why social change is actually more complex than rocket science. Reflecting on Fund for Shared Insight’s Listen for Good initiative, Melinda Tuan shares data and powerful anecdotes supporting why listening to those we seek to help is the right, smart, and empowering thing to do. Recently, criticism of big philanthropy seems to be intensifying. But, as CEP President Phil Buchanan points out in his latest column in The Chronicle of Philanthropy, “let’s not overlook, in this discussion, the distinctly powerful and positive role that both giving and the nonprofit world it supports have played in this country.” Read the piece, titled “Amid Healthy Critiques of Big Philanthropy, Don’t Lose Sight of Its Crucial Role,” here. Sign Up Now for a 2019 CEP Assessment! With the end of the year fast approaching, now is the time to make your assessment plans for 2019. To discuss using any of CEP’s core assessments — the Grantee Perception Report (GPR), Staff Perception Report (SPR), and Donor Perception Report (DPR) for community foundations — or working with CEP on a custom advisory services project in 2019, please contact Director, Assessment and Advisory Services, Austin Long, at 415-391-3070 x127. Kelson Goldfine has joined the YouthTruth team in San Francisco as marketing and external relations coordinator. Welcome, Kelson! Have you applied insights to your work from CEP research? 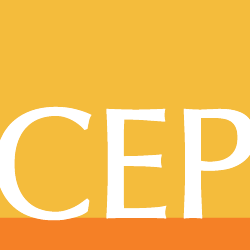 Are you a regular reader of the CEP blog? CEP has a significant earned revenue stream through commissioned assessments and advisory services engagements, but we rely on grant support to pursue a number of our core activities, including our research, communications efforts, and making improvements to our assessments and YouthTruth tools. You can make a personal donation to CEP here. And if you’re a funder interested in providing grant support to CEP — unrestricted support, support for a specific research project, or support for our YouthTruth initiative — contact CEP Vice President, Programming and External Relations, Grace Nicolette at gracen@cep.org, or 617-674-0763.